You may play if you are rated under 1800 in the June 2012 supplement and a BCF member (you can join or renew at the start of the tournament.) The prize is the championship title, your name added to the coveted Weaver Adams trophy (created by Mike Griffin) and entry into the Reubens Landey. Weaver Warren Adams was born on April 28, 1901 in Dedham, Massachusetts. 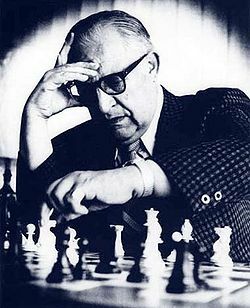 An American chess master, he participated in the U.S. Championship in 1936, 1940, 1944, 1946 and 1948. He won the Massachusetts State Championship in 1937, 1938, 1941 and 1945. In 1939, he wrote a book entitled "White to Play and Win." After publication he played in the U.S. Open at Dallas. 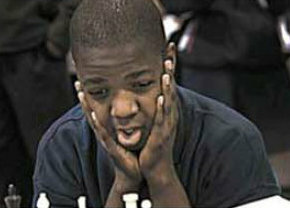 He did not win a single game as White (3 losses and 1 draw) and won all his games (4 games) as Black! Weaver Adams won the 49th U.S. Open, held in Baltimore, in 1948. He also wrote "Simple Chess", "How to Play Chess", and "Absolute Chess." He passed away in Cedar Grove, New Jersey in 1963. This last weekend the MA State Open Championships were held in Marlboro. The winners list has several Boylston CC members and friends on it which is great to see. The club was well represented in all sections of the State Open Championship! 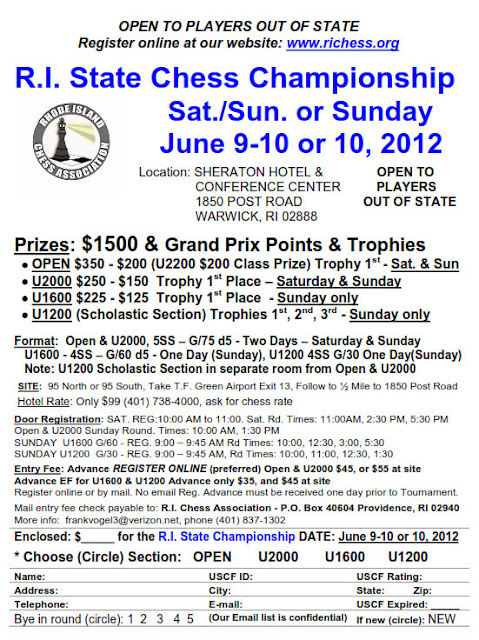 In concert with the Championship, the Annual Meeting of the MA State Chess Association was held. The highlight of this meeting were the reporting of the Election Results for the coming year. 736 ballots were sent out. 105 were returned giving us a return rate of 14.2%. No ballot was invalidated. The results are as follows. • Ken Belt - Re-elected with 61 votes. • Brian Mottershead - Re-elected with 63 votes. • Walter Driscoll - Re-elected with 79 votes. • Stephen Dann - Re-elected with 81 votes. • Richard "Doc" Kinne - Elected with 87 votes (Kinne was not re-elected since he had been appointed to fill out someone else's term last year). • Larry Eldridge - Re-elected with 89 votes. • George Mirijanian - Elected with 98 votes. (Mirijanian was not re-elected since he was not a Director last year, he was President). • Clerk - Dr. Nicholas Sterling - re-elected with 88 votes. • Treasurer - Bob Messenger - re-elected with 101 votes. • Vice President - Steve Frymer - elected with 78 votes. • President - Robby King - elected with 66 votes. The shock of the election results (certainly insofar as this author is concerned) were the 14 write-in votes that Kinne received for President - the most write in votes received for anyone for any position. The newest November-May double issue, featuring our own Mika Brattain on the cover, is finally out after a long and difficult birth. You can download the PDF here. While obviously the MACA Board of Directors represents active chess players in the whole of the Commonwealth, I'm proud to note that - right now - a bit more than 25% of the State Board is filled by Boylston CC members - myself and Walter Driscoll. More than that, I'm looking forward to an exciting year because, serendipitously, the Boylston CC is coming up with some very exciting ideas that, if they can be implemented, I believe will strengthen the ties between local clubs and the State level, enriching both sections of the community. I encourage anyone who has any comments or suggestions for MACA to contact me. The Boylston CC Thursday Night Swiss - one of the Club's longest running events - concluded for the month of May last week. We had several interesting results. With 1.5 points coming in 2nd Under 1700 was Marc Turgeon. Coming in 1st under 1700 was newcomer Doug Chin who we are looking forward to seeing more of. Over all, 2nd Place for the May BCC Thursday Night Swiss with 3 points went to Ted Cross. Finally, sweeping the May Thursday Night Swiss with a full 4 points, coming in 1st Place was Chris Williams! Please remember that this Thursday is the fifth Thursday in May and so there will be no Thursday Night Swiss on 31 May. We hope to see all of our regulars - and newcomers! - again for the June BCC Thursday Night Swiss starting on 7 June. Yesterday I spoke with long time BCF member Tony DiNosse, who is in the hospital. Tony was in good spirits, but said he will likely not be released for several more days. Apparently he underwent surgery after suffering pneumonia, and doctors told him that he could have become dangerously ill if his condition had been allowed to worsen for a few more days. I'm sure Tony would like to hear from other chess players, so if you get a chance give him a call. The direct number at his room is 617-632-1838. If you would like to visit him, he is at the Beth Israel Deaconess Medical Center, in the Farr 2 building, in room 220. 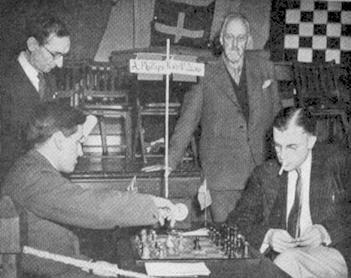 Perhaps best known for twice breaking the record for largest blindfold simul, Koltanowski (1903-2000) worked relentlessly as a chess promoter and author. He is perhaps the most famous TD of all time, directing the U.S. Open every year from 1947 through the late '70's, introducing the Swiss system to that event for the first time in its history in the first of those years. He became president of the USCF in 1974. His achievements as a player were less notable, and in fact he played little tournament chess after an unremarkable showing in the 1946 U.S. Open. 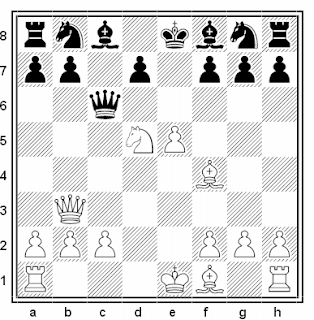 He was, however, awarded the International Master title in 1950. And then there are his blindfold exploits. In 1937, he broke a world record by playing 34 games simultaneously while blindfolded. In 1960, he broke it again, playing 56 games at once blindfolded in San Francisco. He won 50 of those games and drew six. That record still stands today. So join us this Saturday as we honor this legend of chess! GM Larry Christiansen won all 25 games he played simultaneously. 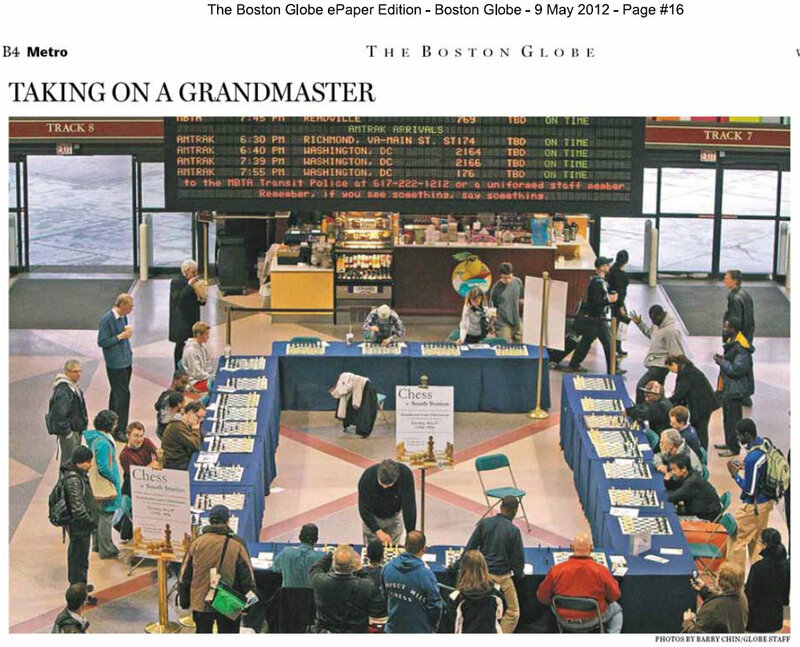 from the Boston Globe, May 9. 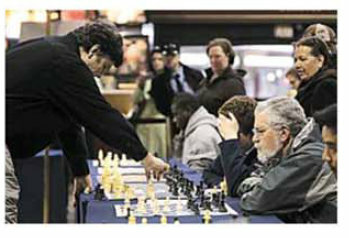 Chessgrandmaster Larry Christiansen, standing inside the tables, played 25 simultaneous games of chess in South Station In Boston on Tuesday aftemoon. 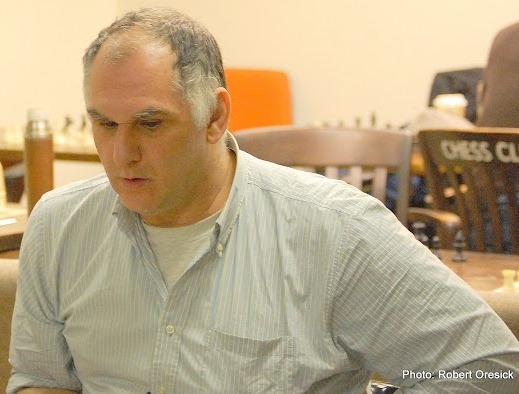 Bill MacLellan of the Boylston Chess Club said Christiansen, currently ranked 15th in the United States, will be taking on opponents at South Station about once a month. The United States Chess Federation calls Cbristiansen "an American master of attack." Below, Carlheb Cemesca, Io.of Everett, a studentat Prospect Hill Academy, reacted to a move. Can you guess what White played in this position? 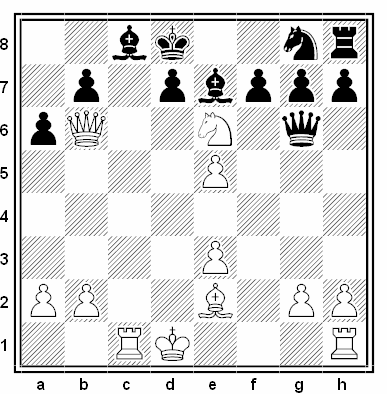 Amazingly, in the first round of the U.S. Championship 2012 yesterday, Stripunsky played 11. d3?? and resigned, giving Onischuk the full point. So....don't beat yourself up over whatever blunder you may have made in the Quads last weekend. It could have been worse. Two Have Resigned. I Am Number Three. By popular demand (okay, Frank Frazier suggested I post this game), I present the following travesty of chess. This would perhaps most appropriately have been posted right after I lost the following game. However, I decided I would delay posting it until after Greg had played all his games as White in this tournament in order to give him maximum "freedom of expression". Had I known before the game that Greg had already used this surprising move to beat both Jon Lee and Larry Eldridge earlier in the tournament, I would have at least tried to prepare for it. However, since I had rescheduled my game from the tournament's opening night, I wasn't present to see Jon's loss down this same path. I did see Greg play this same move against Larry in the tournament's second week, but after 4 Nxe5, giving up a knight for a pawn, I had blithely and quite mistakenly concluded that Larry was headed for a win. I subsequently didn't look seriously, if at all, at their game for the rest of the night. I figured that if Greg later also played 4 Nxe5 against me, I would just take him to the cleaners "like Larry did". 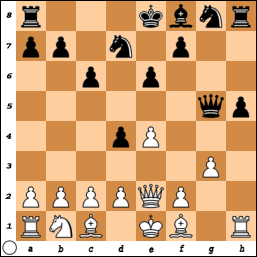 Better is 6...Ne5 7 f4 Ng6, but at the time I didn't see any meaningful advantage over my chosen move. At least my having chosen the road less traveled caused Greg to spend some time on the clock. Somewhere around the first 10 moves of the game, word had apparently made it back to the skittles room that we had each already chewed up around an hour of time. A common enough defensive move in open games. It was only as I struggled in vain to activate my pieces ("A horse, a horse! My kingdom for a horse!") that I checked the wall chart and learned, to my rapidly decreasing surprise, that Larry had lost his aforementioned game with Greg. During the post-mortem with Greg is when I learned that he had also beaten Jon with this Halloween Gambit. 11 Qb5 d5 To prevent 12 Bc4, which I feared would be bad for my health. ...forgetting to do another blunder check. Greg suggested 13...Ne7! to chase off White's knight, since if 14 Bc4 b5! 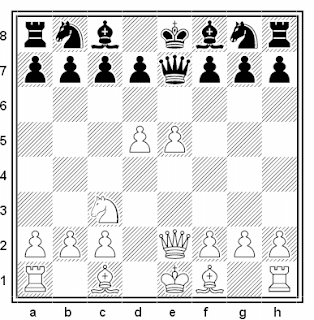 The d8 square needs protecting to prevent checkmate there. Thanks for bringing this wild and crazy gambit to the club, Greg, and congratulations on your hat trick! 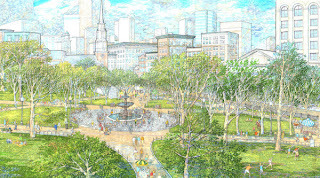 On May 2, Ed Foye and I walked up to the Boston Common from our respective offices in the Financial District to check out the inauguration ceremony of the Brewer Fountain Plaza and to play a few games. 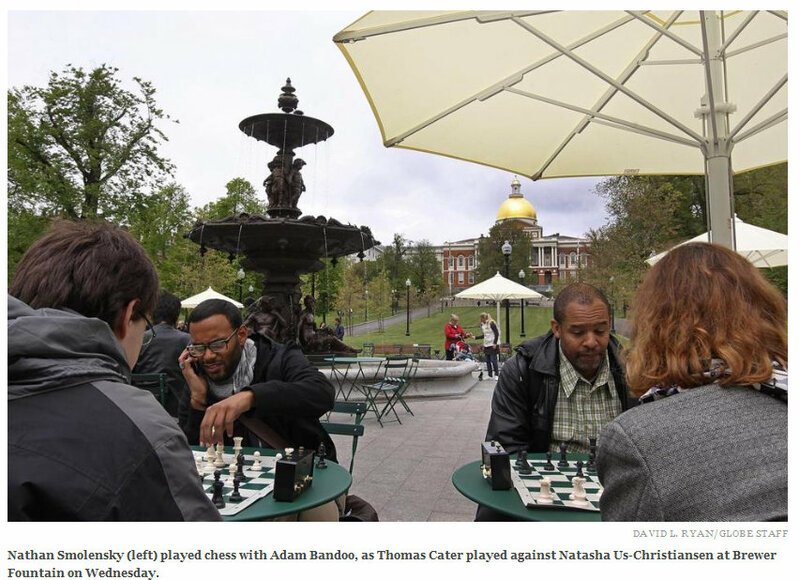 We were pleased to see Nathan Smolensky had set up a couple of sets with clocks, so Ed and I immediately sat down and played blitz while nearby Mayor Menino and other officials extolled the virtues of the beautiful plaza. Alas, Ed had to go back to work, but I could not resist playing hooky a little longer. Sitting next to the magnificent fountain with the accompaniment of live piano music, I felt transported to Paris' Luxembourg Gardens as Nathan and I played chess with various passersby. Artist's Rendering of the future of Brewer Fountain Plaza. Credit Friends of the Public Garden. As many of you know, the Boylston Chess Club takes its name from the street in downtown Boston on which it was originally located. We left that location years ago, and in our doing so the presence of chess in the heart of the city faded somewhat. But the tide is turning. 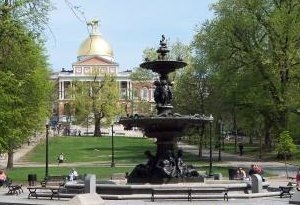 With the refurbishment of Brewer Fountain Plaza in Boston Common, chess tables are now open to the public there, with sets and clocks also available during weekdays. Come by and play! If there aren't any sets out, you can request them at the reading area. 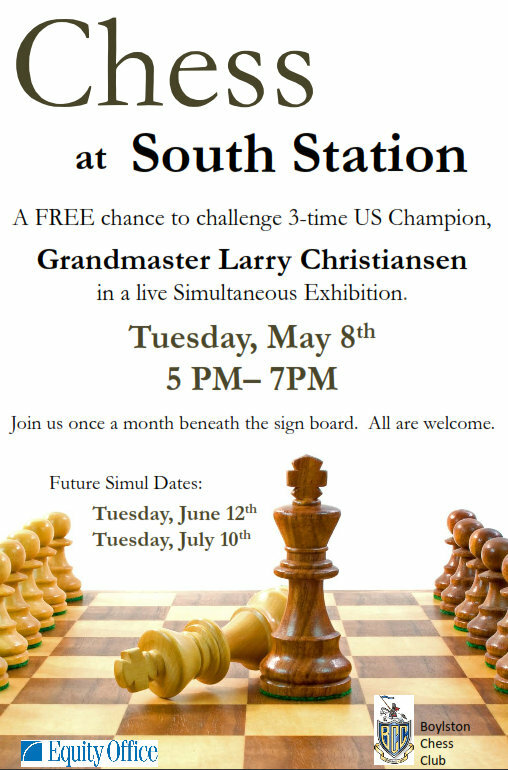 Just a few blocks away, you can also check out our NEXT SOUTH STATION SIMUL, MAY 8TH AT 5:00 P.M., with local GM and three-time U.S. Champion Larry Christiansen! It's an exciting time for chess in the city, so join the fun! Only a short walk away from the Boylston's original location, chess returns to downtown Boston at the restored Brewer Fountain Plaza in the Common! Join us tomorrow at noon as we embark on this new chapter in Boston chess. 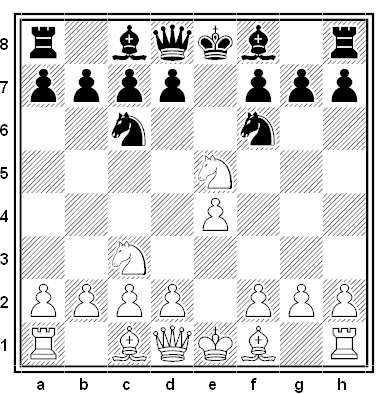 Let's make our presence felt, so that chess in the city can become a truly Common occurrence! For more information on this exciting new forum for chess, check out the press release here. Many thanks to Biederman Redevelopment Ventures for all their work in bringing chess to downtown Boston!